The question of what happens to diesel fuel in winter is very hard to answer consistently. There are so many variables and so many different chemicals, crudes, and finished fuels it is hard to predict exactly. 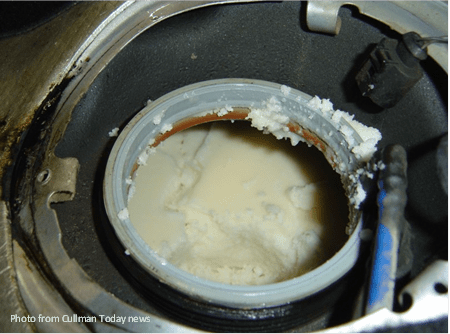 One common trend is that the aromatics in fuel are lower and ULSD (ultra-low-sulfur diesel) has a harder time holding wax and others items in suspension. Some fuels are much harder to treat and require more cold flow improvers. It is very important to fully understand what fuels you are working with. In the extreme temperatures and longer weekends, it really helps to understand how the fuel works and how additives can help or not. YOU NEED TO PREVENT THESE COLD WEATHER ISSUES.